High school parades can be organized for many school events, from fall Homecoming and Spirit Week to spring pep fests to summer celebrations. No matter when your high school organizes a parade, we’ve got you covered for all of your parade float decorating needs. From the float beds to decorating kits to the finishing touches, you can find the best parade decorations and supplies right here. Building a parade float starts with two main decorations: floral sheeting and fringe. FLORAL SHEETING is a versatile decorating material that covers the entire float bed and/or the sides. It’s available in metallic colors and vinyl, so your school parade floats can look matte or shiny depending on the look you want. FRINGE is used around the bottom edges of the float bed and creates a “floating” effect as you roll along the parade route. Mix and match your floral sheeting and fringe colors to match your school colors! 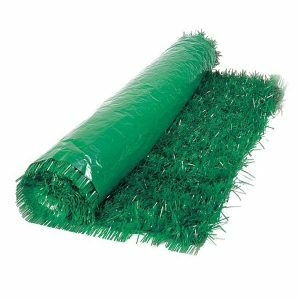 Other basics for parade floats include GRASS MATS for the flooring (great for creating a mock football field) or lots of POLY POMPS and CHICKEN WIRE. 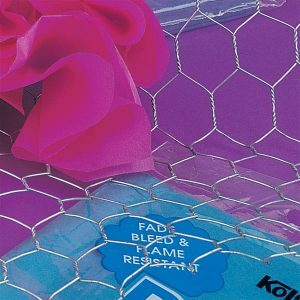 You can cut and mold the chicken wire into unique shapes for massive structures, and then insert poly pomps into the holes for unique float decorations. Once you’ve covered the bed of your parade float, you can really start getting creative. FESTOONING is a popular float decoration; it’s typically used to line the edges of the float bed. 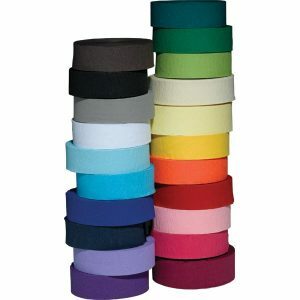 POLY ROLLS are a great idea for backdrops on your floats, or they can be used as a supplemental material for the floor. BALLOONS are another popular, traditional decoration for parade floats–and you can’t go wrong with them. Use them to create balloon bouquets, clusters, and more. 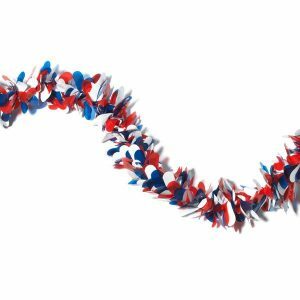 CREPE STREAMERS are another decoration that may be slightly old-school as far as decorations, but it still does a great job add lots of color to your floats–especially when you need decorations to match your school colors. Besides the decorating basics and trimmings, parade floats wouldn’t be complete without those larger structures to really dazzle your parade spectators. BALLOON COLUMNS and BALLOON ARCHES are great ideas for any high school parade; they’re great backdrops for photo ops, and they’re easy to match to your school colors. Our THRONE FLOAT KIT is a dynamic decorating option for a Homecoming parade because your King and Queen candidates can take turns sitting on this royal structure. 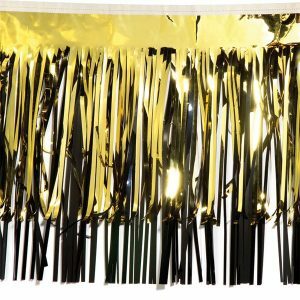 Take a moment to browse through our THEME DECORATIONS to find more kits that you can use to match your school colors and/or parade or Homecoming theme. Once you’ve got your parade floats all decked out, it’s time to add some last-minute finishing touches. STYRO LETTERS and NUMBERS are must-haves for the sides of your float. You can use them in so many ways: current school year, spell out your school and mascot, call out your Homecoming theme, and much more. 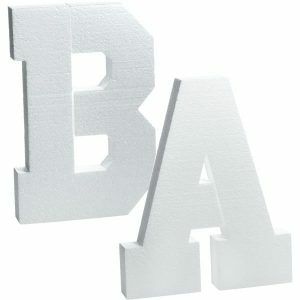 And your parade float letters and number don’t have to be white. With a little spray adhesive and GLITTER FLAKES you can color them! Or paint them using our PAINT KITS. Another great addition for the side of your parade floats are CUSTOM BANNERS. Simply choose a graphic, add your custom text, and show it off during your Homecoming parade! Mix and match all of the above ideas to create the most fantastic parade floats for your students, parents, and community members to create an unforgettable high school parade for your next event.